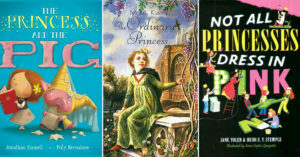 A Mighty Girl's top picks of girl-empowering reimaginings of twelve traditional fairy tales from Rapunzel to Cinderella! It’s a rare person who hasn’t heard traditional fairy tales like Cinderella, Sleeping Beauty, Red Riding Hood, and more — in fact, variants of stories like these exist in most world cultures! 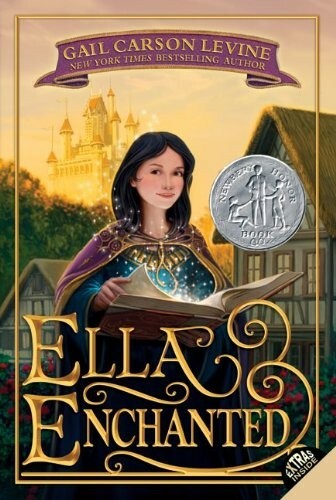 But one of the most evocative aspects of fairy tales is how they change to suit the times... and in a time when Mighty Girl stories are in great demand, it’s no surprise that there are some terrific empowering spins on classic fairy tales! If you’d like to show your children how familiar themes can be explored in new and different ways, we’ve collected some of our favorite versions of Mighty Girl fairy tales. Sometimes they’re versions from different cultures; sometimes they explore how a story could have happened differently; and sometimes they move the story to a new time — or even into outer space! But every one showcase a daring, clever, and heroic Mighty Girl! The fairy tales recommended here are only a small fraction of the girl-empowering fairy tales available on A Mighty Girl. For over 200 fairy tales and folktales starring Mighty Girls, visit our Fairy Tales & Folktales book collection. 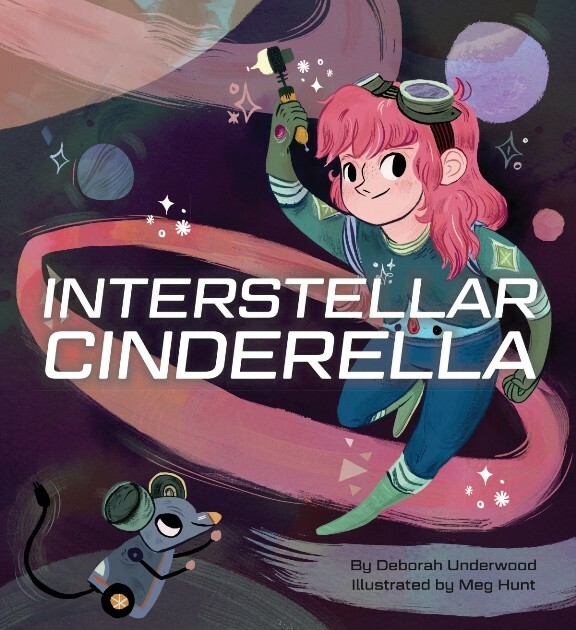 This retelling transports Cinderella into outer space! Hardworking Cinderella is kept doing menial appliance repairs, but at night, she studies how to build and repair rocket ships. When her family strands her on an empty planet. all Cinderella's fairy godrobot needs to provide are tools; that allows Cinderella to repair a ship, get off the planet, and provide some much needed mechanical assistance to the Prince! She’s also smart enough to know she’s too young for marriage, opting to take up the post of chief royal mechanic instead. Tinkering kids will love this mechanically-inclined Cinderella. Cinderella may need a Fairy Godmother &#151; but Cinder Edna can get to the ball on her own! Unlike Ella next door, Edna uses the money she’s earned cleaning bird cages and mowing lawns to put a dress on layaway — one she wears with loafers, which are really much more practical. And while Ella is focused on handsome Prince Randolph, Edna hits it off with his brother Rupert, who runs the palace recycling plant. Edna’s ending may not include a palace, but it does include a one-of-a-kind life with a man who is a true kindred spirit and partner. What if Cinderella had a twin sister? Maybe together they would have gotten clever about dividing up the work! 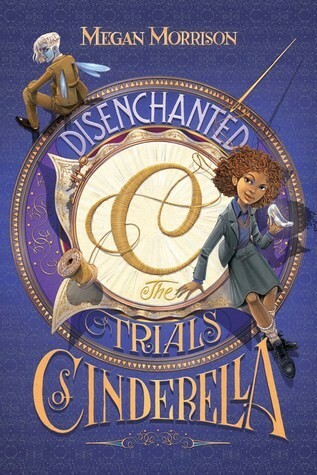 Cinderella's math-loving sister Tinderella divides everything in half, from their stepmother's chore list to the bed they share — that way, everything is fair. When the Prince calls a ball and their fairy godmother appears, Tinderella can even figure out how to split up the baubles and the coach. But even Tinderella can't split a prince in half! Fortunately, Tinderella realizes that there's a flip side to division... 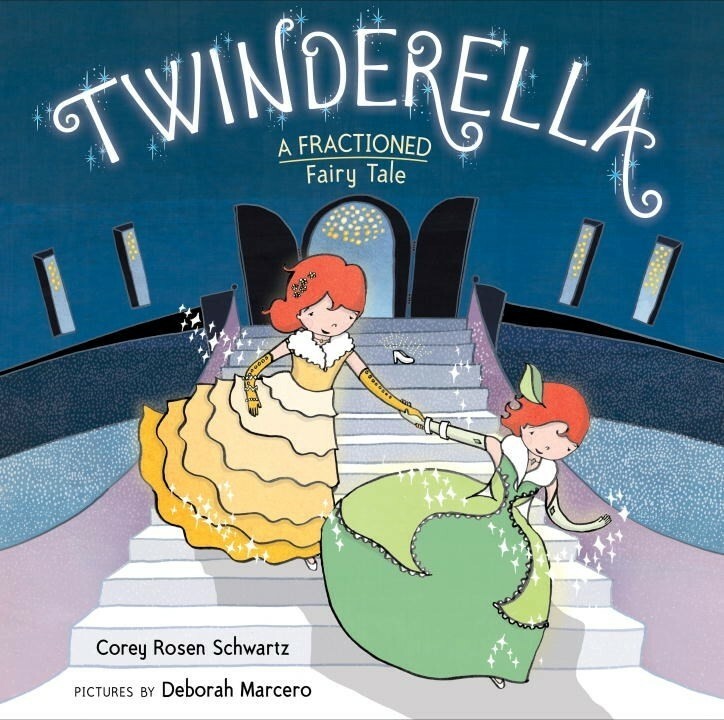 This clever fractured (and fractioned) fairy tale in rhyming text is full of hilarious puns and entertaining math concepts. A thoughtless fairy gave Ella a misguided "gift" when she was born: the gift of obedience. Unsurprisingly, Ella's stepmother and stepsisters put this to good use... for them. But instead of giving up, Ella develops a rebellious streak and finds ways to "obey" while still not quite doing as she was told. And in the end, when the people she loves most are threatened, it's sheer force of will that allows Ella to overcome her "gift" and earn her freedom. 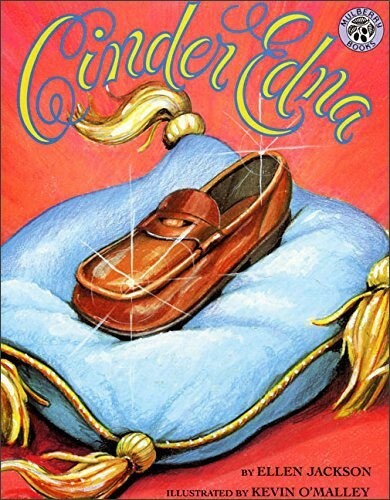 Gail Carson Levine's unique retelling of Cinderella celebrates a Mighty Girl who finds her own way to a happy ending. Ella Coach, whose mother died working in a sweatshop, wants fair treatment for the kingdom's laborers, but to do that, she'll need support from nobility. Prince Dash Charming, whose family's curse to lie, cheat, and break hearts has finally been broken, wants to be a better person — but doesn't know where to start. Serge is an executive fairy godfather who's tired of filling the whims of entitled rich teenagers. And when the three of them meet, they just might change the world! This second book in the Tyme series uses a magic-filled, modernized fairy tale to explore issues of economic justice and the ability of individuals to make an difference. When her mother was still alive, Nicolette learned to be an inventor by her side; now that she's gone, her stepsisters laugh and call her "Mechanica." 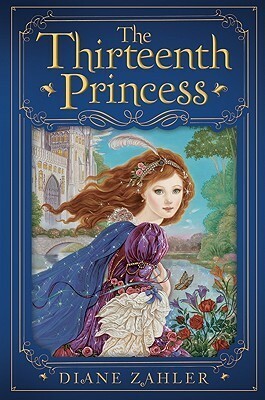 But when she discovers a secret workshop full of mechanical tools powered in part by fey magic, she sees the opportunity to escape her miserable situation: with both a technological exhibition and a royal ball approaching, if Nicolette can't impress the prince, perhaps she can impress investors. 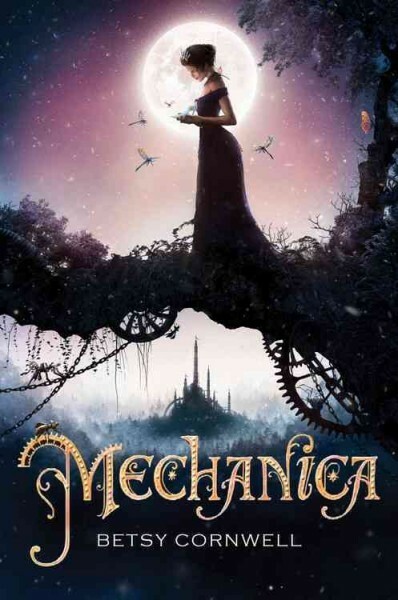 This innovative fairy tale, featuring a steampunk Cinderella, celebrates a mechanically-inclined Mighty Girl and also conveys important lessons about the value of independence and freedom. Cinder, a gifted mechanic, is a cyborg. She's a second-class citizen with a mysterious past, reviled by her stepmother and blamed for her stepsister's illness. But when her life becomes intertwined with the handsome Prince Kai's, she suddenly finds herself at the center of an intergalactic struggle, and a forbidden attraction. Caught between duty and freedom, loyalty and betrayal, she must uncover secrets about her past in order to protect her world's future. No one — including Cinder herself — knows that Earth's fate hinges on one very special young woman... To follow Cinder's further adventures, all five books in the series are available in The Lunar Chronicles Box Set. In most versions of The Three Little Pigs, the pigs are brothers, but in this book, the youngest pig is a sister who shows her brothers the true spirit of martial arts! When the three siblings get tired of getting pushed around by a bully of a wolf, they decide to take lessons at the ninja school. Pig One and Pig Two, though, aren't dedicated enough to perfect their skills, and it shows when they confront the wolf. Pig Three, on the other hand, practices diligently to earn her black belt — and her skill is so obvious that the wolf runs off before she lays a finger on him! This great twisted fairy tale has limerick text that’s great for reading aloud, and teaches a terrific message about practice and perseverance. 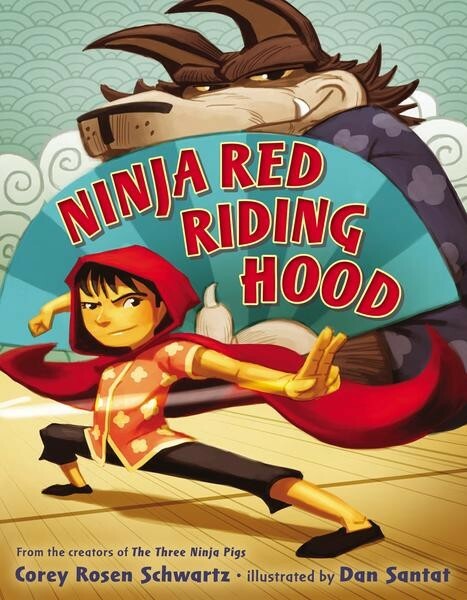 Kids who enjoy this story can check out the sequel, Ninja Red Riding Hood. For another fun story with a martial-arts spin from this author / illustrator pair, check out Hensel and Gretel: Ninja Chicks for ages 4 to 8. Goldilocks is ready for potty training... she thinks. She is definitely ready to wear not-too-silly, not-too-frilly, just right underwear. But that means she needs to find a just right potty too and know when the just right time to use it is. With the help of her parents, though, she's sure she can take on this new challenge! The cheerful, positive language in this book is suitable for a wide range of ages, so it's just right whenever your Mighty Girl is ready for her own big girl underwear. Mo Willems plays with the Goldilocks story by making the motivations of the “bears” (in this case, dinosaurs) slightly more suspect. One day the dinosaurs decide to clean house, make the beds, leave out tempting bowls of pudding, and go out — for no particular reason, of course. They’re certainly not setting a trap for a little girl, who they definitely don’t plan to eat! 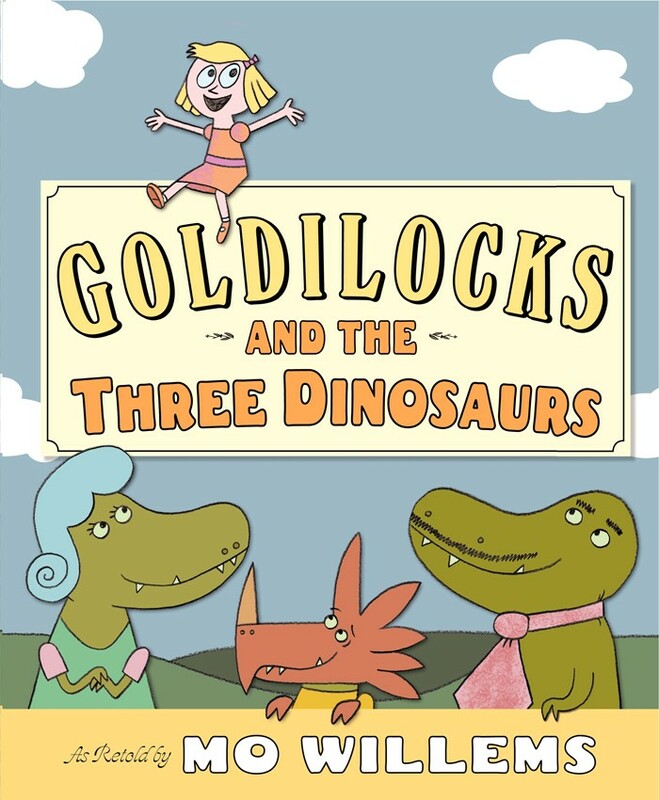 Fortunately, this laugh-out-loud twisted fairy tale stars a Mighty Girl who’s smart enough to realize that something is amiss... Two morals at the end (one for Goldilocks and one for the dinosaurs) provide the perfect finishing touch. 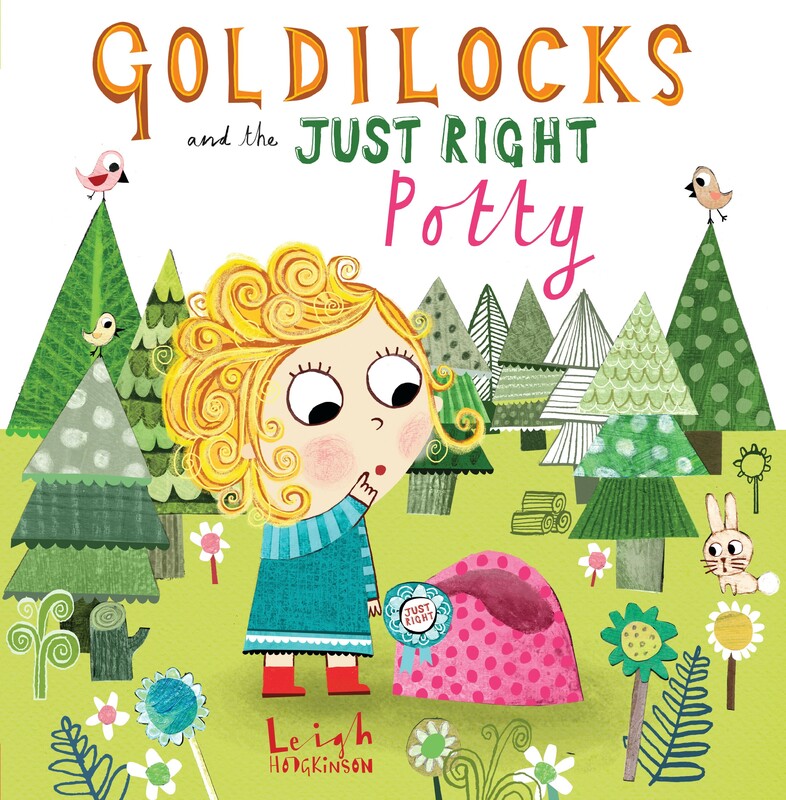 In the original story, Goldilocks isn’t a particularly admirable character — most parents would hesitate to cheer on a character who breaks and enters! So in this book, a more collaborative ending provides the perfect twist. 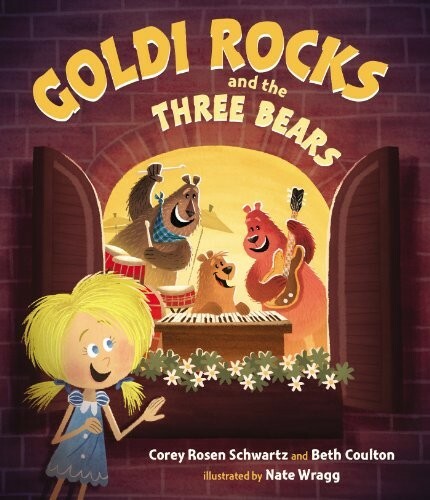 These musician bears are struggling to find the perfect voice to go along with their band — until they discover a mysterious golden-haired girl who’s wandered into their studio and fallen asleep on Baby Bear’s keyboard! In the end, of course, the trio becomes a quartet and their new song “Too Hot, Too Cold, or Just Right?” is a hit. A gender swap of the main character in this story produces interesting results! The handsome but doomed prince in this tale is led to fulfill the curse by his curiosity and sense of adventure, pricking his finger on a spindle when he turns 18. Soon, rumors spread about the handsome sleeping prince, but all the women who try to get through the thorny hedges are foiled...except one. "If this Bob is all they say, it will take more than some shrubbery to keep me from meeting him," she declares. Kids will enjoy comparing this version to the original telling. The live-action film Maleficent (age 9 and up) explored the motivations of the villain of the traditional Sleeping Beauty tale; in this book adaptation, three different characters — two fairies and Aurora herself — take an outside view of Maleficent and the choices she makes. This version of the story deepens the complexity of the “evil fairy” character, providing a fascinating counterpoint to the traditional versions of the story. Older readers can also check out Maleficent: the Novelization (age 10 - 14). 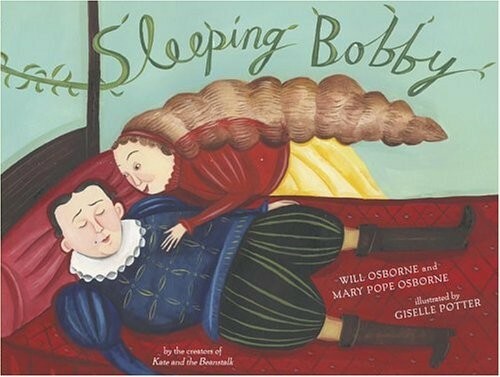 Robin McKinley’s Sleeping Beauty story begins as in the traditional tale, but Rosie grows into a strong, physical young woman who prefers leather breeches to gowns and is most at home in the woods with her animal friends. When Rosie’s true identity is revealed, along with a plan to defeat Pernicia, the evil fairy who set the curse, she and her beloved friend Peony will have to risk everything — and possibly sacrifice everything — to save the kingdom and those they love. 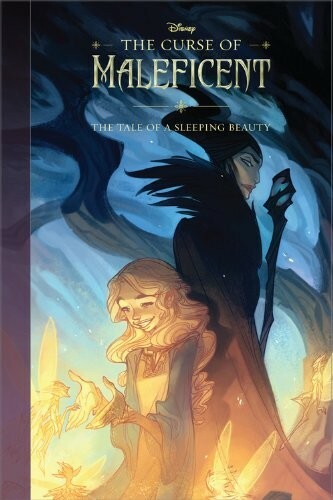 young readers will love this unique and exciting version of the Sleeping Beauty story. Fairy tales can also provide a metaphor for real life history, and Jane Yolan uses this to beautiful effect in this novel. Rebecca has always loved her grandmother Gemma’s strange — and sometimes frightening — version of the Briar Rose story, which includes silver eagles, black boots, and a deadly mist. 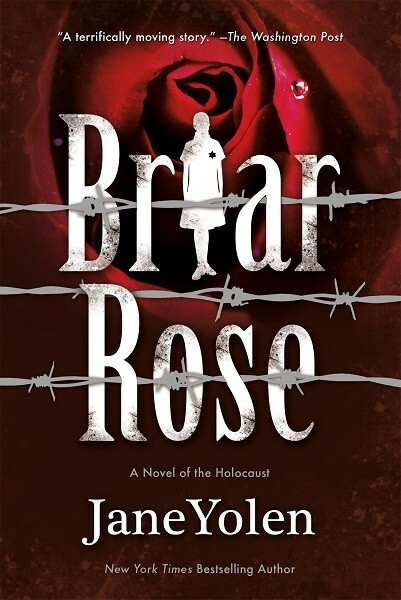 But when Gemma claims on her deathbed that she is Briar Rose, Rebecca realizes that the story conceals her beloved grandmother’s shocking past: a miraculous survival in a concentration camp. The unexpected parallel captures the power of folktales to help us interpret the most difficult moments of history. Our story begins with Rapunzel in her tower, imprisoned by a black-clad witch, but it doesn't take this mischievous Rapunzel long to realize that she could let down her own hair and escape. Then, with the help of woodland creatures — and a book called How to Defeat Witches — she stops her own tormentor... then puts on a mask and sets out to do battle with all the witches of the wood! Striking art and a funny twist on the Rapunzel tale will make this a favorite. 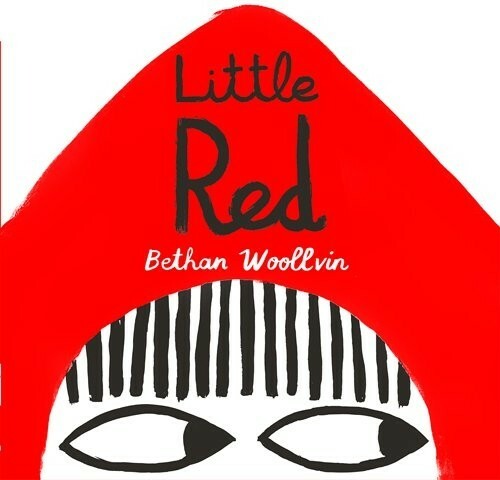 For another fairy tale retelling by the same author / illustrator, check out Little Red. 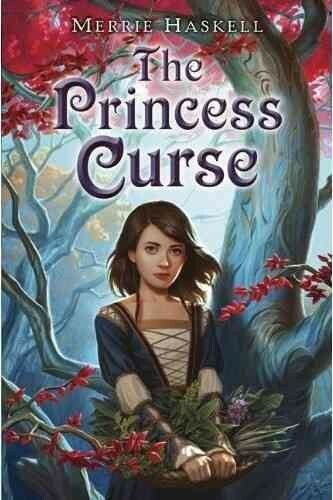 This Rapunzel is a swashbuckling, adventurous daughter out for revenge! 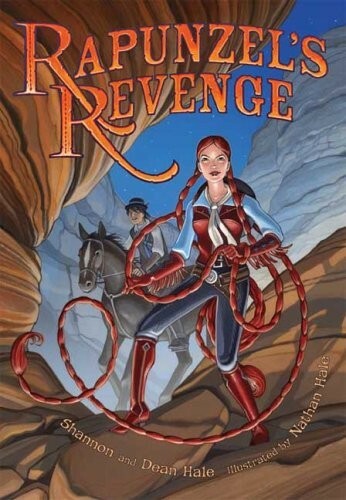 In this graphic novel, after discovering the truth about Mother Gothel's brutal rule, Rapunzel find herself banished...and then teams up with Calamity Jack (of beanstalk fame) and becomes a Wild West outlaw, using her lengthy braids as a lasso to right wrongs and fight oppression. 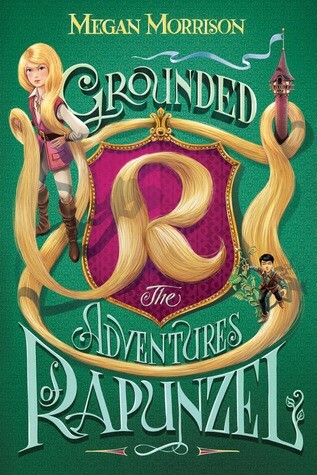 Equal parts humor and adventure, this Rapunzel story is sure to be a hit. Rapunzel is the luckiest girl in the kingdom — or so the Witch tells her. Her magical tower fills her every wish and she's the heroine of all the lovely books she reads — and thanks to the Witch, Rapunzel is safe from dangers like princes, the ground around the tower, and even unhappy thoughts. But when a thief named Jack sneaks into the tower, Rapunzel confronts many things for the first time... including the possibility that the Witch doesn't tell her the truth. And when she follows Jack out of the tower, she'll discover a world she had no idea existed — one which is both more terrible and more beautiful than she could have guessed. Tween and teen readers will be fascinated by this reimagined fairy tale, the first book in the Tyme series. "Who is the Fairest of them all?" The beauty-focused story of Snow White becomes a tale of courtly intrigue and one young woman’s journey to positive self-image in this novel. In the kingdom of Ayortha, beauty and song are the greatest gifts a woman can possess...and Aza has only one of them: she’s considered gawky and ugly, but her singing is beyond compare, and she can even throw her voice. When Queen Ivi discovers Aza’s abilities, she threatens her into using them to conceal her own lack of singing ability. But it’s when the deception is revealed and Aza has to flee the castle that she discovers her own strength and courage — and the love that she thought she could never find. Levine’s intriguing adaptation of the Snow White story provides plenty of fodder for Mighty Girls who want to discuss the challenges of life in an appearance-obsessed society. On the night before her wedding, a young queen contemplates her future: will she lose all chance at freedom once she says her vows? Then, she receives an unexpected reprieve: three dwarves arrive, proclaiming news of a dreadful sleeping plague that is creeping across the kingdom — a plague that begins with an enchanted princess. The queen is only too glad to set aside her finery for chainmail and sword and set out through the tunnels to defeat this new menace. But is the princess all that she appears — and are the queen's choices really as limited as she believes? 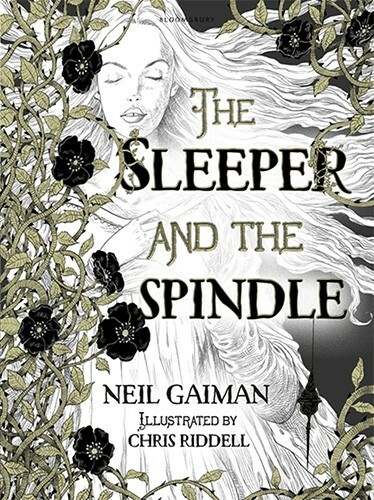 Neil Gaiman and Chris Riddell's exquisite novella retells Snow White (with a dash of Sleeping Beauty) in an intriguing new way, accompanied by gorgeous artwork. In the original version of the Twelve Dancing Princesses, it’s a clever old soldier or a visiting prince who learns the secret; gender swap the investigating character and you get a new twist on the tale! In this book, everyone who has tried to find the source of the curse — and earn the promised reward — has either disappeared or fallen into an enchanted sleep. 13-year-old Reveka is a herbalist apprentice and wants to buy a position as a master herbalist... something the reward would easily allow. But as Reveka gets deeper into her investigation of the mystery, she discovers that the stakes are far higher than she expected. Is she willing to journey to the Underworld, at the risk of her own soul, to help the princesses — and maybe save the world? This version of the story makes the princesses’ curse more personal. Zita is the thirteenth daughter of a king who desperately wanted a son. Furious and heartbroken that the birth of yet another daughter has killed his wife, the king sends Zita to work in the kitchens of the palace, but her lowly station means that the mysterious ailment that affects the rest of the princesses misses her. When Zita learns of her true parentage and begins a clandestine friendship with her sisters, she becomes determined to rescue them from whatever it is that plagues their nights; if she manages, she may finally truly be the thirteenth princess. Instead of a lazy and thieving Jack, this story features a quick-witted Mighty Girl in the lead! 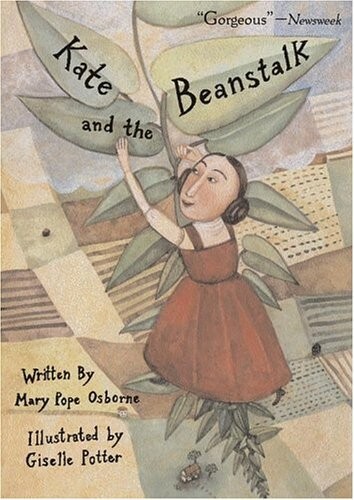 Kate climbs the beanstalk only to discover that the giant’s riches are stolen: the castle in the sky and its contents belonged to a kind knight, whose wife and daughter live in the valley below and are now nearly starving. Clever Kate plans to return these wonders to their rightful owners, but she’ll be surprised when she learns just who they are. These small changes create a character readers feel they can root for, and kids will have fun comparing the messages sent by the two different versions. 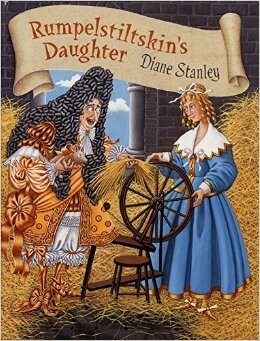 What exactly happened after the miller’s daughter managed to spin straw into gold with Rumpelstiltskin’s help? 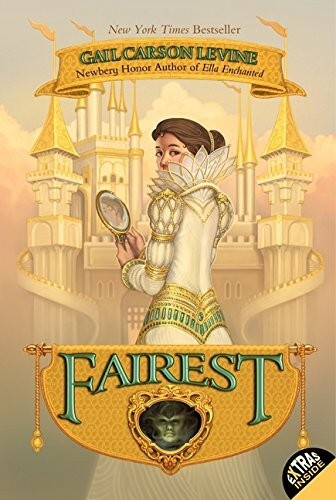 This book takes a look at a possible “ever after” of this story, one in which the miller’s daughter quickly realized that hard-working Rumpelstiltskin — who asks for her first born so he can read to the child and coach a Little League team — might just make a better partner than a cruel and greedy king! Years later, it’s Rumpelstiltskin’s daughter who finds herself in a similar predicament, and while she knows she could call on Dad for help, she has her own tricks up her sleeve including one that should change the kingdom for the better. This clever rethinking of the Rumpelstiltskin story is a fun, spirited read. 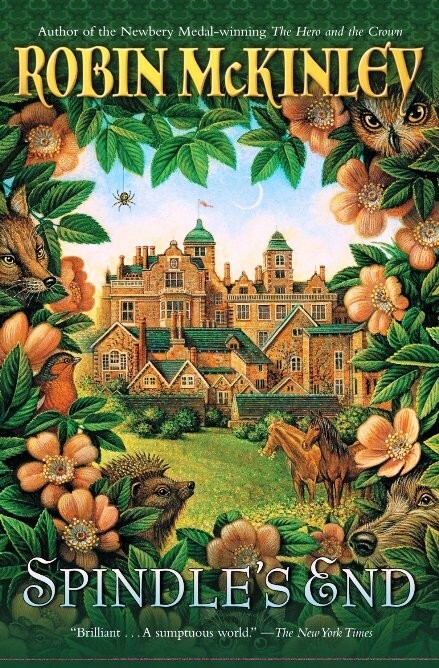 This fairy tale is unique because one author has written two different versions of the same tale: award-winning fantasy author Robin McKinley wrote one at the beginning of her career, and another twenty years later. For readers, it’s a fascinating opportunity to compare both the retelling to the original, and one author’s evolving understanding of a story. In the first book, Beauty dislikes her nickname: she is the youngest child and feels far more awkward than her lovely and mature older sisters. Instead, she takes pride in her intelligence and love of learning. When her father returns from a trip with the news of the terrible promise he made to the Beast, Beauty doesn’t hesitate: “Cannot a Beast be tamed?” she asks. She and the Beast gradually become closer, bonding over their love of literature, and when the moment comes that she realizes her feelings for him are love, it’s not just the Beast who will be transformed. 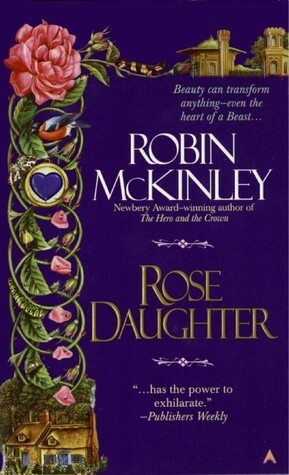 This was Robin McKinley’s first published work and its intriguing examination of the classic fairy tale marked her as an author to watch. 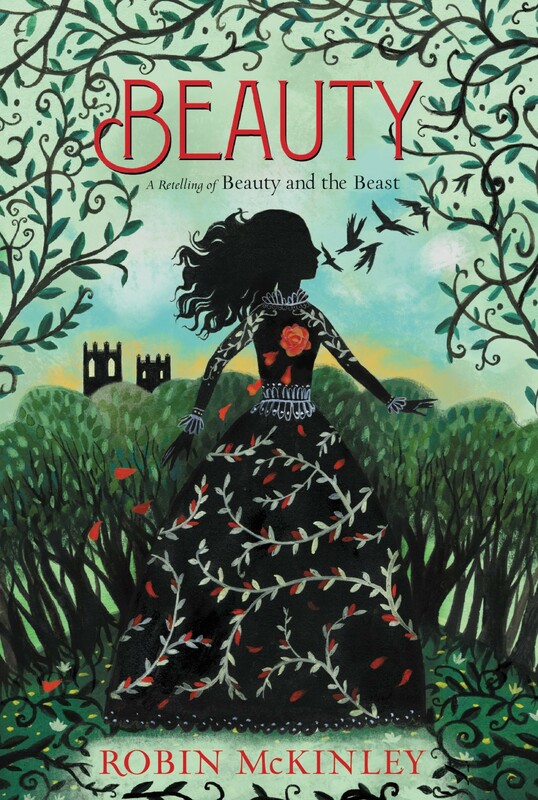 Decades later, McKinley returned to Beauty and the Beast with this novel. Beauty in this story has an affinity for roses and gardening, which remind her of her mother — a skill that allows her to bring life back to the Beast’s manor grounds. Unique to this telling is a choice beyond whether or not to love the Beast: Beauty must also decide whether the Beast should become human again, in which case their names would be spoken in fear across the kingdom, or whether he should stay transformed, in which case they will live out their lives in peace as peasants. For Beauty, who treasures roses above gold, the choice is an easy one. 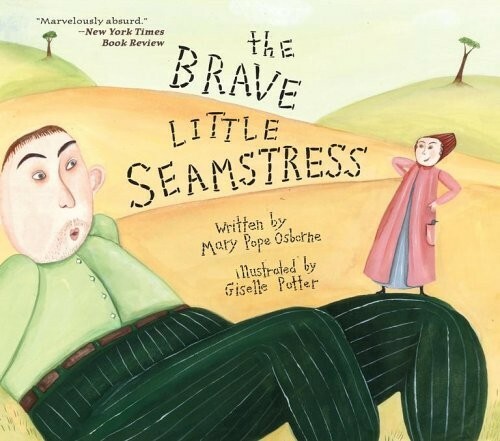 This gender swap of The Brave Little Tailor mostly follows the original story, but author Mary Pope Osborne throws in some unique touches — as does Giselle Potter, the illustrator, like when she depicts the seamstress using her favorite coat like a bullfighter’s cape. In the end, the king tries to go back on his deal with the brave little seamstress; fortunately, the friends she’s made — and her quick thinking — ensure that she can deliver the king his just desserts, and ascend to the throne herself, to rule as a wise and gracious queen. Why not make the confrontation between Red and the Wolf into a martial arts bout! 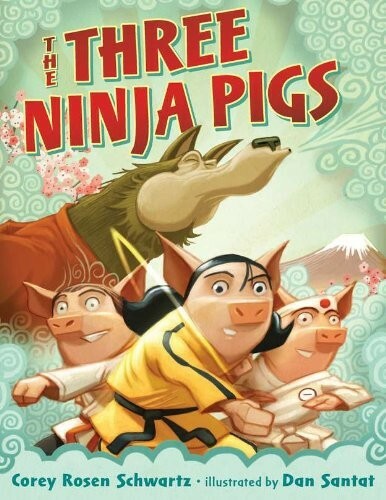 This sequel to The Three Ninja Pigs begins with the Wolf grousing that the Pigs’ ninja school has trained all the other animals so well, he can’t get anything to eat. So his first disguise isn’t to replace Granny; it’s to sneak into Ninja School so he can develop his own skills. When he does disguise himself, Red is skeptical immediately, and the pair quickly square off. A well-placed grab and a flawless toss, and the Wolf groans his promise to avoid red meat from now on — a promise that leads to a more serene life for him as well as for Red and her Granny! Little Red needs a new pair of skates when she spots a banner for a skating competition, with golden skates as the prize! The only problem is that she needs a partner — and everyone has already paired up with someone from their own fairytale. 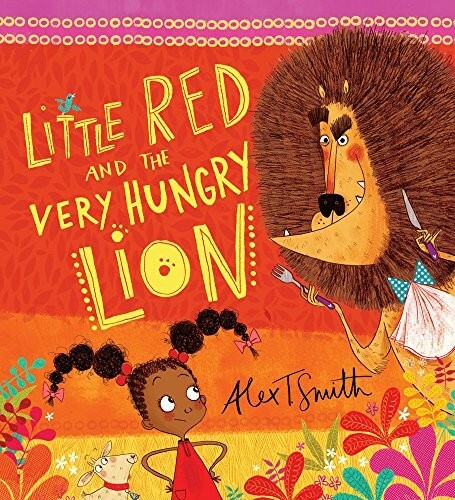 When Granny suggests one of the little pigs, Red comes face to face with the Big Bad Wolf. Fortunately, it turns out that he's also in need of a new pair of skates... and Red learns that you shouldn't judge based on appearances! 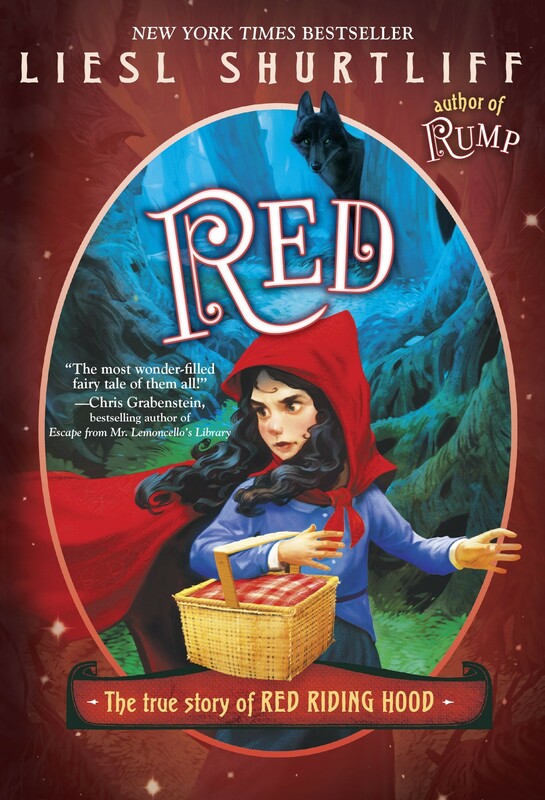 Kids will love trying to spot all the other fairy tale denizens in this fun story that provides a unique twist on Little Red Riding Hood. Little Red's auntie is feeling unwell, so Little Red sets off to visit her, walking under the giraffes, over the sleepy crocodiles, past the enormous elephants and the chattering monkeys. The next animal she meets, though, is less friendly: a Very Hungry Lion who wants to gobble her up! But despite all the cunning plans by Lion, Little Red outsmarts him and soon has him saying sorry and eating doughnuts instead. Bestselling author/illustrator Alex. T. Smith combines clever text with beautiful illustrations for this appealing Red Riding Hood tale. Little Red Hot loves chilli peppers... she eats them for breakfast, lunch, and dinner. So when her grandmother catches a cold, Little Red Hot figures that her special chilli pepper pie will "knock those cold germs right out of her." And that super-hot pie might turn out even more useful when tricky Senor Lobo tries to pretend to be Red's grandmother! 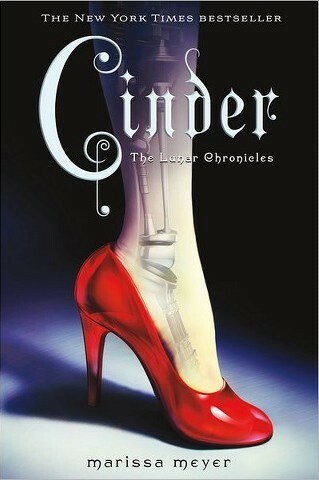 This fun fractured fairy tale even includes an afterward about why peppers are hot. Fans of this book will also want to check out Lisa Campbell Ernst’s Little Red Riding Hood: A Newfangled Prairie Tale (ages 4 - 8), which features Red on a bicycle and a tractor-driving Granny; and the blend of fairy tale and superhero play in Claudia Davila’s Super Red Riding Hood (ages 4 - 8), where Red’s superhero skills — and compassion — lead to a more peaceful reconciliation with the wolf. 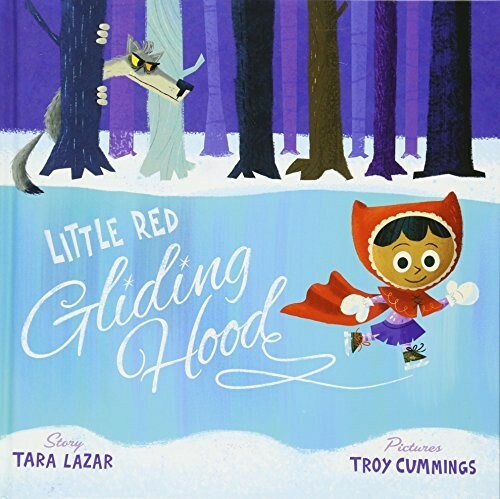 In this unique telling of Little Red Riding Hood, a feisty little Red isn't fooled by the wolf's clumsy ploy! 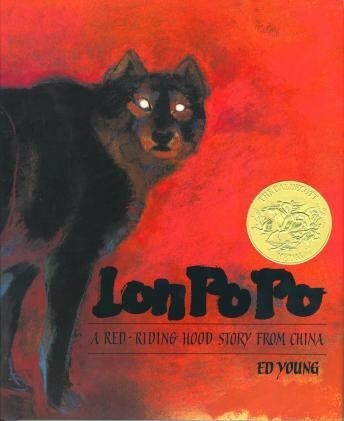 Red is so unafraid of the wolf that she doesn't hesitate to tell him about her grandmother, and the wolf lopes off ahead of her as in the traditional tale. But when Red arrives at Grandma's door, she considers the wolf "badly disguised." Once inside, she side-eyes the wolf but plays along until he leaps... and discovers that Red has her own axe at the ready! Bold graphic artwork and an empowering twist makes this a stand-out telling. 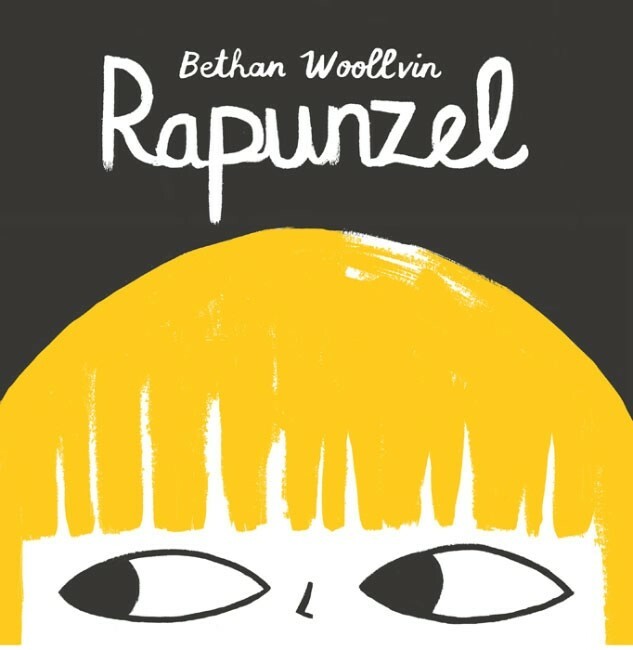 For another fairy tale retelling by author / illustrator Bethany Woollvin, check out Rapunzel. 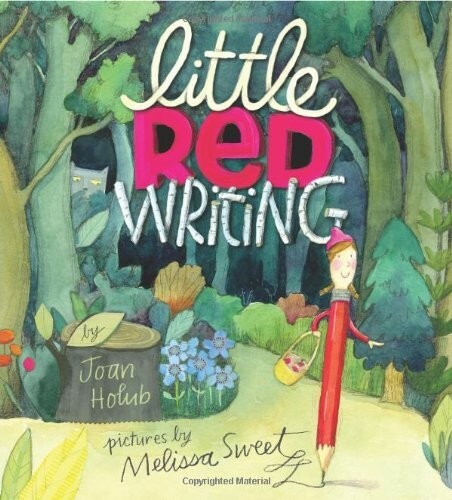 Joan Holub uses the Red Riding Hood story to teach the elements of creative writing in this picture book illustrated by Melissa Sweet. In this tale, Red is a pencil working to write a story — with just enough description (but not too much); some powerful action-word verbs; and, of course, a suitably scary villain in the shape of the Wolf 3000 pencil sharpener! This clever story has lots of layers for kids to unpack as they become more confident storytellers, from the basics of the story path to the complexities of elements of style. It’s a great way to encourage reluctant writers — and daring ones — to pick up their pencils for their own adventures. Red is not afraid of the big bad wolf. She's not afraid of anything... except magic. But when Red's granny falls ill, it seems that only magic can save her. With the help of a blond, porridge-sampling nuisance named Goldie, Red goes on a quest to cure Granny, through dwarves' caverns to a haunted well and a beast's castle. All the while, Red and Goldie are followed by a wolf and a huntsman — two mortal enemies who seek the girls' help to defeat each other. 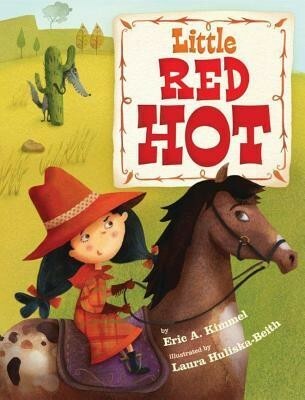 Leisl Shurtliff expands on Red's appearance in her debut novel Rump in this unique retelling. Fairy tales are deeply meaningful stories, so it’s only appropriate that they evolve with the times. 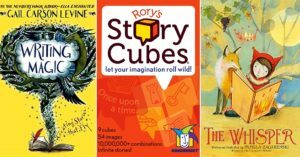 Perhaps after reading these, your children will be inspired to create their own reimagining of a traditional tale! For more traditional fairy tales and folktales starring Mighty Girls, visit our Fairy Tales & Folktales section. For fantasy stories that bring magic and mystery into the present or the past, visit our Fantasy section. If your Mighty Girl is inspired to write her own reinterpretations of fairy tales, check out our blog post Fantastic Adventures and Amazing Tales: Encouraging Creative Writing and Storytelling for resources to get her putting her ideas on paper.